Woo it’s been a bit since we’ve done one of these! Nashville’s Tetherball has a way of combining smart indie-pop with an almost doo-wop sensibility on their new single “Social Jedi.” The guitars take you along “tumbling down this ladder” right behind the vocals while the drums keep you snapping right along with it. It’s a brisk little tune that felt like it was over too soon, a testament to how much I wanted to play around in the sound. Check out the Pac-Man themed video below and get a little more of a taste of Tetherball when the EP Pheromone Flood comes out February 26th. We’ve also got a new video from TW Walsh, formerly of Pedro the Lion. “Fundamental Ground” kicks off with the line “I’ve been in this room for way too long.” The song feels haunting in a way that expresses the melancholy of not going anywhere even as you search for something bigger out there, that base thing that must be holding up everything else. Walsh’s vocals have an uncertainty to them that plays up this theme. Check out “Fundamental Ground” here and pick up TW Walsh’s new album Fruitless Research when it releases this Friday. Sometimes a band comes along that seems to soundtrack your life. It seems like every release speaks to your soul in some uncanny way, like each song was written just for you. This is not about one of those bands. The Wonder Years have this uncanny habit of releasing great albums about two years before I need them. 2011’s Suburbia, I’ve Given You All And Now I’m Nothing was a fantastic album when it came out but a year later when I was in Norman, Oklahoma in limbo between finishing college and eventually heading to grad school in Dallas, “Came Out Swinging” and its sentiment on spending time as a ghost in places that used to be familiar struck a chord with me in a way it hadn’t previously. 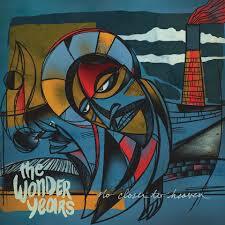 The Wonder Years released another album last Friday, No Closer To Heaven, and it’s all I’ve listened to since then. The band trades in their explorations of growing up and being stuck in suburbia for an album-length deep dive into loss. The first single, “Cardinals” opens with a funeral for a bird who crashed into a window, something that Campbell has said is meant to represent crashing into our own limitations as humans. This death of potential is what drives the album forward and the chorus’s cry of “If you call me back or let me in, I swear I’ll never let you down again” echos a longing to make things right far beyond when it’s possible. The repeated chant at the end (that reappears at the end of “Cigarettes and Saints,” about the loss of one of Soupy’s friends to overdose) “We’re no saviors if we can’t save our brothers” is heartbreaking, seeing this desire to save those we care about and wondering if we can amount to anything if we can’t help those closest to us. The whole album is rich with such imagery. “A Song for Ernest Hemingway” has one of the most offbeat metaphors for depression that I’ve ever heard but it’s so dang catchy and it’s probably my favorite song on the album. “I Don’t Like Who I Was Then” is a great look at wishing you had been better and trying not to mess things up. “Palm Reader” is another standout. A bombastic riff kicks off the song before going into a soaring chorus about growing into someone strong enough to overcome adversity, needing lessons from others to become a better person. The band really clicks on this album. The instrumentals have the right amount of energy to support Soupy’s vocals, and Campbell sings as if he would actually explode if he didn’t get these words out. Every song is so earnest and full of such energy and life that I find myself smashing play every time it stops so it can start up again. I think out of my day yesterday there were probably 3 hours where No Closer to Heaven wasn’t playing. If the woogy, prescient pattern of The Wonder Years releases continues, I’m going to have to deal with loss in the next couple of years. I can offer no greater compliment to this album than to say I have a soundtrack for understanding that pain and trying to move forward. You can listen to “A Song for Ernest Hemingway” below and be sure to check out the rest of No Closer to Heaven. With all the hip-hop and indie coverage over here at Irrational Confidence, it may surprise you to learn that I consider myself a bit of a metalhead as well. Mastodon is probably in my top ten bands of all time and I’ve really enjoyed seeing what acts like Deafheaven and Pallbearer are doing for their various sub-genres. (I’ll scream about Deafheaven’s Sunbather for approximately forever. Shoegaze-ish instrumentals with blastbeats and black metal vocals. Tell me that’s not great.) So when I got my hands on Thomas Rakowitz’s Ghosts of Myself EP, I was excited to put it on expecting some shreddy goodness. You might remember Rakowitz as one of my favorite parts of Brian Altano’s Misanthrope. His guitar work was a great added texture to the dystopian electro-hip-hop of the rest of Misanthrope. When I first pushed play on the EP, I was taken aback just a bit. What I knew of Rakowitz’s work was either from Misanthrope or his bombastic shred work from his YouTube channel, such as this awesome cover of the theme from the Black Knight 2000 pinball machine. I was prepared to get my teeth kicked in by the powers of rock, dang it! But what followed instead was the beginning of the title track, an almost proto-flamenco with an ethereal choir backing the guitar. It was, at the risk of being a little too on the nose given the title, haunting. I felt like this was the wide sweeping shot at the beginning of the horror movie, as the scene gets set for what’s about to happen. And then we shred. Oh, do we shred! Immediately we’re joined by some breakbeats, some super crunchy chords and some riffs that come in with the desire to say that we’re getting straight to the point. Rakowitz even comes in with vocals, something I didn’t expect from him, and the rawness present in his voice as he swaps between clean and growled vocals adds to the emotion of the track. Rakowitz had made reference on Twitter about this EP being a personal, almost therapeutic project and in his vocals I could almost hear him screaming out his demons one by one. There’s almost no time to rest in this short EP. 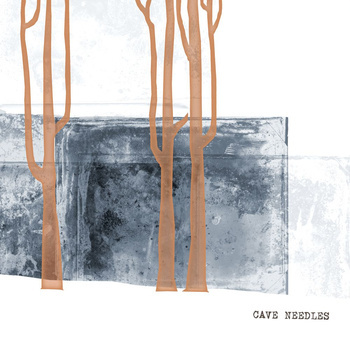 There’s only five tracks plus the awesome bonus instrumental “Elements,” another departure from the rest of the EP and a soothing recovery from the rest of the project. From start to finish I get what I expected from Thomas Rakowitz: some technically impressive metal that feels like it wants to destroy me (The solo on “The Consuming Flame” is the best example to point to in this case) but the album really shines when it shows off the versatility of the artist. The introductions on both “Ghosts of Myself” and “Whispered Nightmares” are enough of a shift that I perked up and paid attention and when the metal kicked back up to 11, it felt like a release. I was ready for it again. These moments of tension, waiting for everything to blow up are what make the Ghosts of Myself EP special. 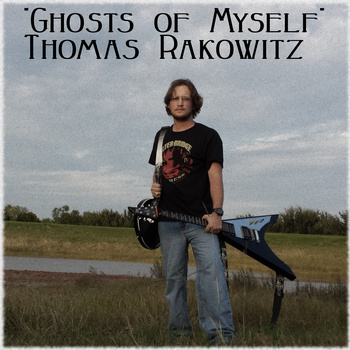 You can pick up Ghosts of Myself for the low price of $2 over at Thomas Rakowitz’s Bandcamp page and hear a demo version of “The Consuming Flame” below. The best/worst way I can think of to describe Athens, Georgia group Cancers debut single “Be Cool” is a more melodic Sleigh Bells mixed with “Mellon Collie”-era Smashing Pumpkins. There’s so much more to this song than that reductive comparison, though (however accurate I think it might be). The crunch of Lenny Miller’s guitar erupts out of the intro and demands to drive this track back into that wonderful 90s pop-rock sound. The distortion and glorious noise of the instrumental stands in contrast to Ella Kaspar’s vocals, a breathy, airy tone that reminds me so much of something like “1979.” The hooks are catchy, the melodies are positively pop to the core, but bubbling underneath are the riffs that are waiting for their chance to explode and change the tone of “Be Cool” from a simple sing-a-long to an anthem. You can listen to “Be Cool” below and be on the lookout for Cancers’ debut album Fatten the Leeches coming out September 16th. Next up we have Philadephia’s Mike Bell and the Movies who sent over the video for their new single “Everyone” from their most recent release Nothing Works. The video must have been an endeavor as it simply features the band’s frontman Mike Bell getting punched in slow-motion over and over again. It hopefully was worth it because it introduced me to this amazing power-pop outfit. The story of the song, a lovelorn protagonist wondering if he can change his luck as everyone around him marries off, is instantly relatable and the onslaught represented in the video drives home the feelings that come along with it. The song as a whole was burned into my brain instantly with its soaring guitar solos and a huge hook for the chorus. You can see the “Everyone” video for yourself below and make sure to check out all of Nothing Works at Mike Bell and the Movies’ Bandcamp page. I was introduced to Kyle Armillotti as the talented guitar player and vocalist accompanying Hoodie Allen on tour. I was immediately impressed with his voice and his energy as he flew around the stage doing whatever was needed to keep the show going. His stage presence and talent went as far to almost overshadow the artist he was there to support. Now Kyle has just released the video for his first solo single, performing under the name “electric,” and I’m excited to share it with you. “Farewell” is an earworm of an electro-pop jam, combining the musical stylings of something like an MGMT with the lyrical vulnerability of Death Cab for Cutie. beneath the infectious groove are earnest lyrics about having to bid farewell to a dear friend. Armillotti delivers the goods with his soaring melodies, adding punch to the already powerful track. You can check out the video for “Farewell” below and be sure to stick around electric’s YouTube page to see the video for Kyle’s cover of Jason Derulo’s “Talk Dirty To Me,” which has been greatly improved with the addition of kazoos. Anyone who knows me knows how much I love pop-punk. From my early experiences with Blink-182, Relient K and the like to more modern acts like The Wonder Years (whose most recent release The Greatest Generation was unequivocally in my top three albums of last year) I’ve always felt a connection to deceptively simple songs full of emotion and super catchy hooks. There’s something about pop-punk that always feels more authentic, like the artists are getting to say exactly what they feel without any posturing or images to maintain. I know that there’s no shade to be thrown at other genres, but my experience with pop-punk always straps in knowing that whatever I’m listening to is going to demand my full attention, that even at its catchiest hook, an artist is going to be bearing their soul unto me. I’m excited to bring the Two Step back and introduce you all to Orphan Mothers. This new duo out of Regina, SK just released their first single, “Towers,” and when I first heard it, I knew it was exactly the kind of song I wanted to write about. Jon Neher’s minimalist beat begins the track with a snap that immediately brought Lorde’s “Royals” to mind but it is not content to stay in the same lane as that song. Layer on layer of guitars and strings begin to build, creating a vibe closer to Passion Pit, particularly “Constant Conversations” and I started to feel myself floating out of my chair as the song continued to build itself up. There’s a moment at the end of the song where a repeated guitar note begins to overtake the vocal track as the chorus loops and just as it gets to a point where one would expect a solo or some bombastic declaration, the bottom drops out and we’re left with the snap track from the beginning of the song. It’s a brilliant tease and it had me running to start the song over again. And then there’s the vocals. Eden Rohatensky adds an incredibly worked vocal line that seems to push and pull the instrumentals through the song while not being in tension with them. Everything fits together. Her voice has a feeling of effortlessness, like there’s no problem for it to sound this flowing and smooth. While I love the instrumentals, I can’t imagine “Towers” without the full effect of Rohatensky’s vocals washing over the listener. I cannot wait to hear what happens next with this band. As I said before, this is the very first release from Orphan Mothers who are planning a full project to release later this year. You can watch the video for “Towers” below or you can get it on Orphan Mothers’ Bandcamp page, which I will be frantically refreshing, hoping that there will soon be more songs there. I fell in love with Decent Lovers (and also Seer Group, their frequent collaborator) from the very beginning of their cover of “Brand New Colony” that was contributed to the Never Give Up compilation. It had a boldness and an excitement to it that let me know that my expectations of what a Postal Service cover was supposed to be were about to be shattered. I thought it was fantastic and I immediately sought out more of Elijah Wyman’s work. Also I almost bought some handmade Decent Lovers soap, so there’s that. Recently Decent Lovers released four free singles and I knew I had to recommend them to you all. It’s hard to find a good comparison to let people know what they’re in for with this music but that’s not going to stop me from trying. It’s kind of like if Passion Pit and James Blake got together to make a poppier version of themselves in North Carolina and also there’s an autoharp. While all the tracks in the sampler are great, we really need to talk about “2Star.” Decent Lovers included a pre-recording acoustic version that somehow segues perfectly into its fully produced counterpart. Decent Lovers, even if I couldn’t say all the other nice things about what they create, are at their best when they start a track. “2Star” begins with what sounds like a demented wind-up toy before exploding into a super great dance track following a “Jason Derulo”-style announcement of the band name that fits the mood perfectly. The synth work combines with some power pop guitar and a super catchy hook to make a song that I’ve hit repeat on more times that I can count in the past few days. It’s become a cliche around here for me to critique a song’s danceability as a high point (one that’s not going anywhere, so I may need to develop a formal metric) but this comes with a first. I was working on a paper at a coffee shop while listening to this collection (“2Star” specifically) and the person I was studying with actually asked what was wrong with me as I went into some sub-conscious groove. If a track is so good that it causes me to lose control of my limbs, you need it in your life. You can pick up the singles for whatever price you choose on the Decent Lovers Bandcamp page, where you can also pick up the equally great and wonderfully titled Decent Lovers + Seer Group Bring You Maxxx Pleasure. Back from the dead is The Two Step! Phia, from Berlin by way of Australia, sent over her first single “Do You Ever?” off of her upcoming debut. This song is a fresh bit of alternative-pop music. Phia combines a light, playful melody line with a synth-style backing beat to make something that’s impossible not to enjoy. What makes Phia special is how she makes that beat. With a kalimba and a loop pedal, Phia is creating something that sounds exciting and sets her apart. It’s an odd instrumentation but it works and it’s incredibly clever. Take a listen to “Do You Ever?” below and get ready to have a smile on your face for the rest of the day. Our friends from 8090 sent over the video for their song “Work Shirt.” As you may remember, I LOVED their Work Music album that came out earlier this year and I’m more than happy to share their visual, which sends the duo around Chicago in their work shirts looking for a good time. Check out the video, and if you somehow missed me gushing over it, pick up 8090’s Work Music today!